PowerQuilter™ p3 - Power. Performance. Precision. 3000 Stitches per Minute– With the ability to do 3000 stitches per minute, you will not outrun the stitch regulation! Multiple Pre-Programmed Stitch Modes. – Ruler Mode, Idle Mode and Baste Mode are all pre-programmed for you. Simply select your mode from the menu on the screen. 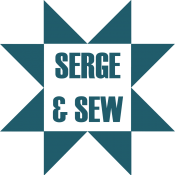 Start quilting right away with a large variety of designs including blocks, corners and continuous designs. More design possibilities as blocks don’t have to be square. The enhanced iQuilt Frame is the next step forward in machine quilting. This frame combines all of the great concepts from the previous model with exciting new features that greatly enhance the Quilter’s experience. The iQuilt Frame is QUILT ARTIST™ compatible. You will love the frame’s new features: New carriage (with SureTrack™ for increased control and ease-of-movement), 11/2” professional steel rails (including Fabri-Fast™ system), and other distinct innovations. 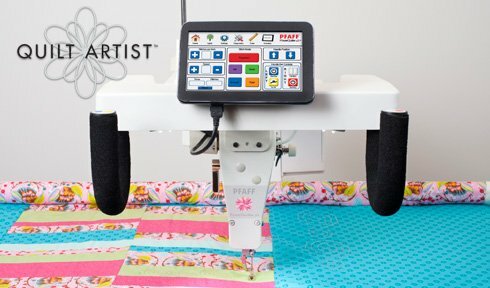 The iQuilt Frame is perfect for any sewing machine with up to an 18” throat space.